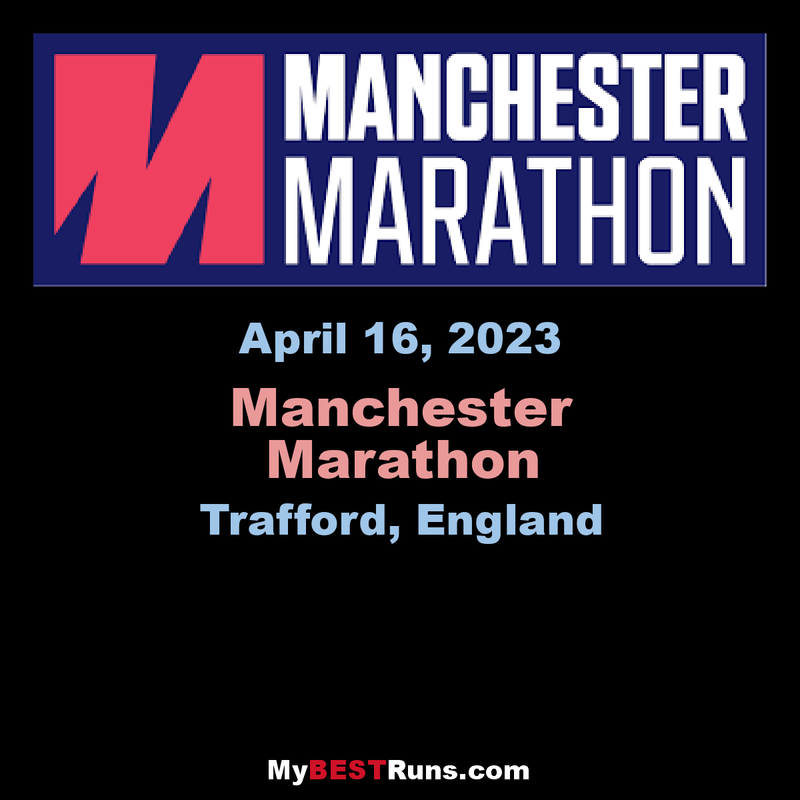 The ASICS Manchester Marathon has announced a new route for the 2020 race, which will take place on Sunday April 5, 2020. For the first time, the race will head into the center of Manchester. 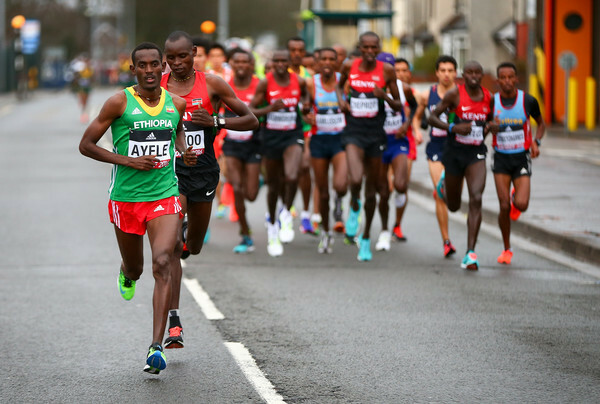 Now the second largest marathon in the UK, the ASICS Manchester Marathon attracts thousands of runners thanks to it’s flat course, offering fast times. 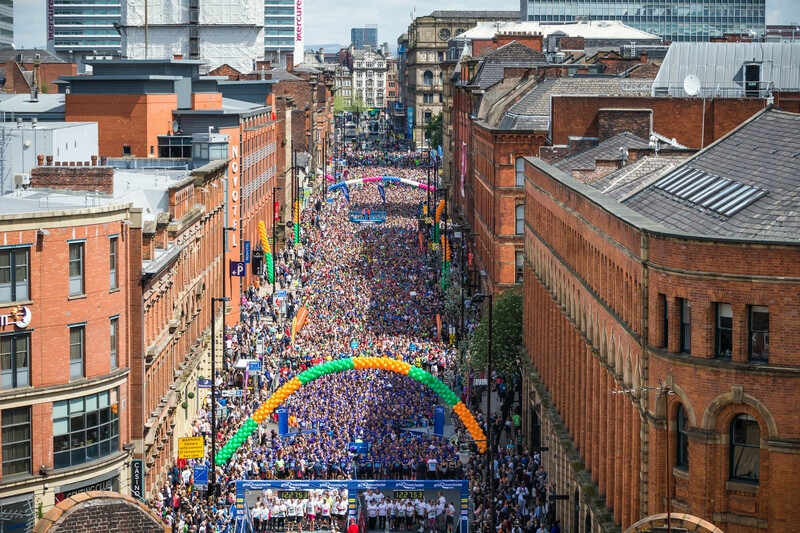 Runners from all over the country head to Manchester seeking a PR. The amended route will take a three-mile loop into the city center, past some of the city’s most iconic landmarks, including the Manchester Opera House, Spinningfields, Albert Memorial Hall and The Midland Hotel amongst others. The startling line will remain in its present location under the White City Arch, with the famous backdrop of Manchester United’s Old Trafford Stadium. The race will also continue to direct runners past Trafford Town Hall and Lancashire Cricket Club towards the finish line. 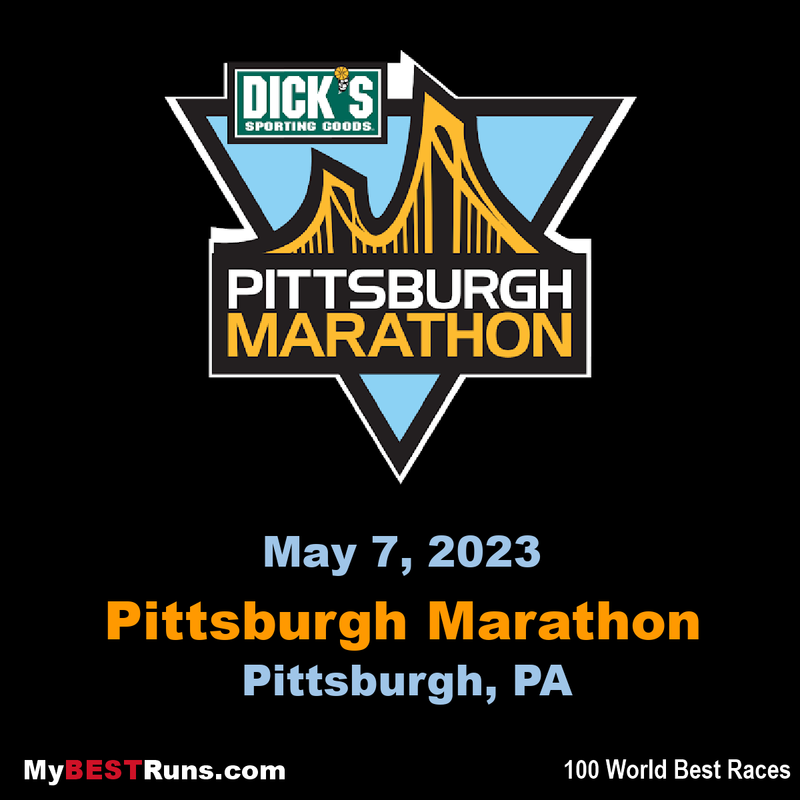 This year’s weekend, 20,000 runners are set to take on the present course, which is a 50% increase from 2018. 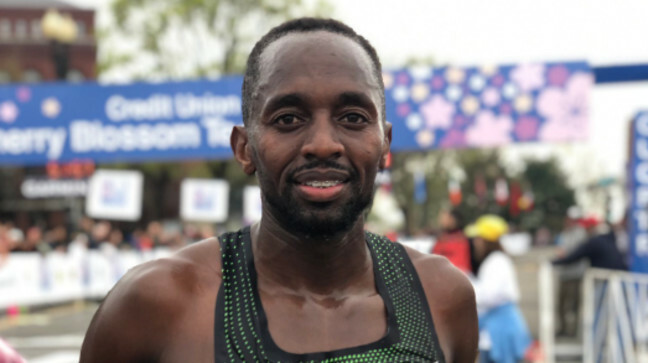 Stanley Kebenei could pick from a few comeback stories on his way to setting the American record at the Credit Union Cherry Blossom Ten Mile. A year ago, he was sitting at home nursing an Achilles tendon injury that left him in despair. 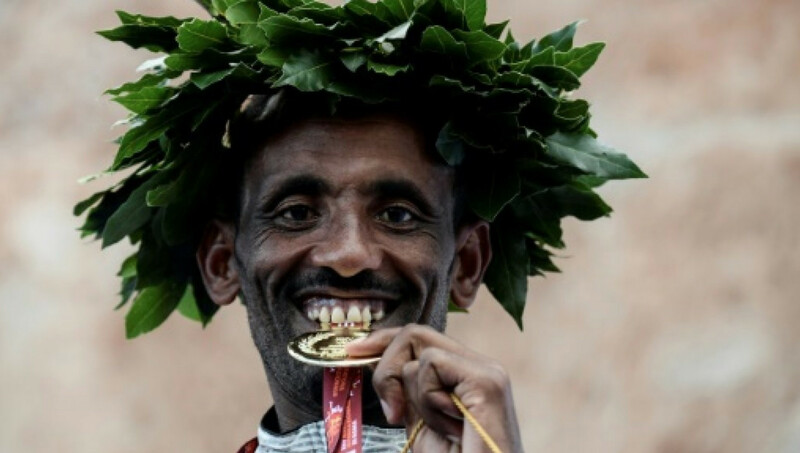 A week ago, he had just run a miserable race for the world cross country championships. 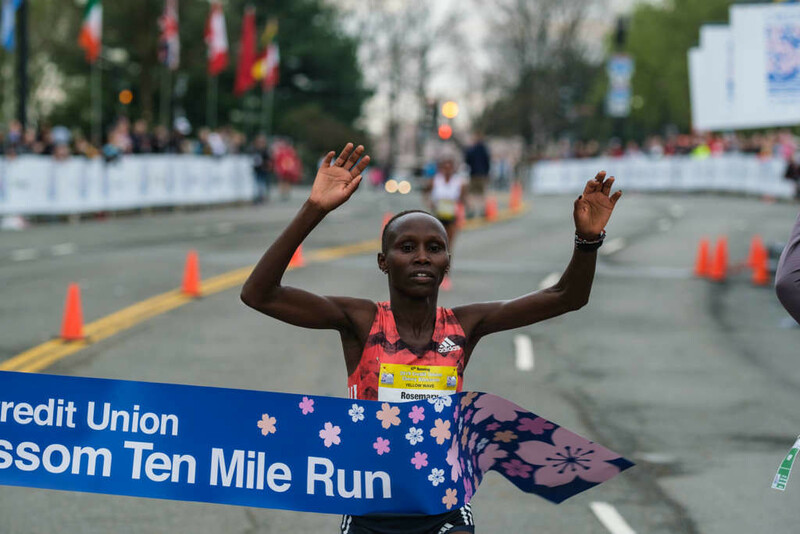 But none of that mattered when he crossed the line Sunday in 46:00, breaking Greg Myer’s 1983 record of 46:13, also run at Cherry Blossom. He put his 35th place finish in Aarhus, Denmark behind him when he flew to Washington, D.C. and spent the intervening week training in Maryland. He’s a Kenyan-born American citizen who ran at the University of Arkansas and trains in Colorado Springs with the American Distance Project. He told Elite Athlete Coordinator Bill Orr as much the morning of the race, then went out to back up the shot that he had called. 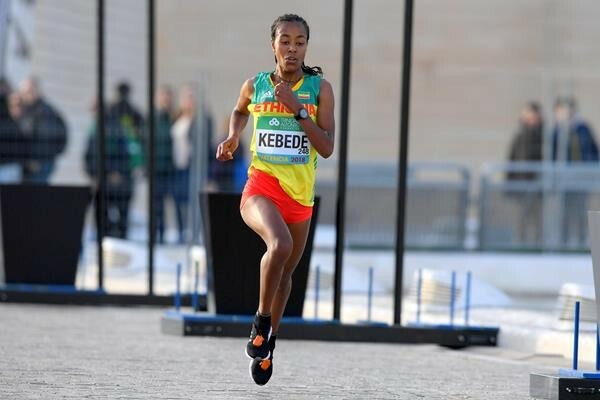 Kebenei, 29, felt sluggish early on, but by the third mile, the lead pack began throwing in surges, which Kebenei felt comfortable covering. By mile eight, though, things had changed, and when defending champion Jemal Yimer started pulling away, Kebenei, who won the 2017 race, had to decide between trying to top Yimer or focusing on his record attempt. Kebenei had spent a good portion of 2018 fretting about his Achilles. He didn’t feel confident again until the Twin Cities 10 Mile in October, where he finished third. The multiple NCAA champion was an emphatic winner. 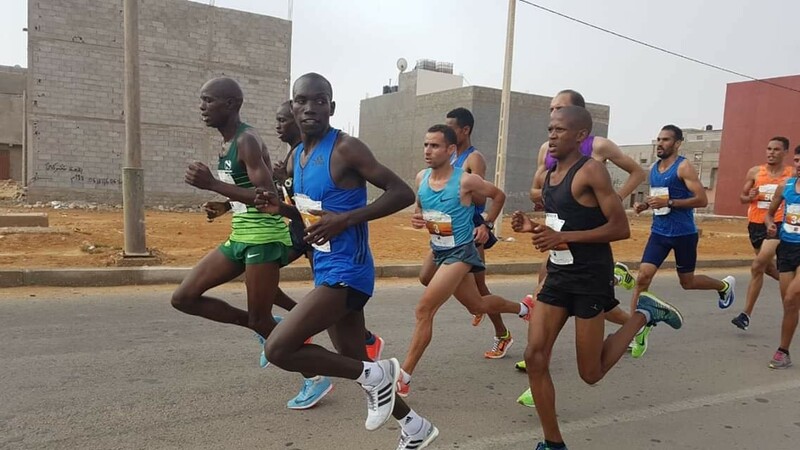 He blitzed through the first two kilometres in 5:04 and had Craig Nowak for company, but despite forging ahead and opening up a 20-second gap on the rest of the field over the next two kilometers, the pace dropped slightly and he passed through the four-kilometre mark in 10:41. 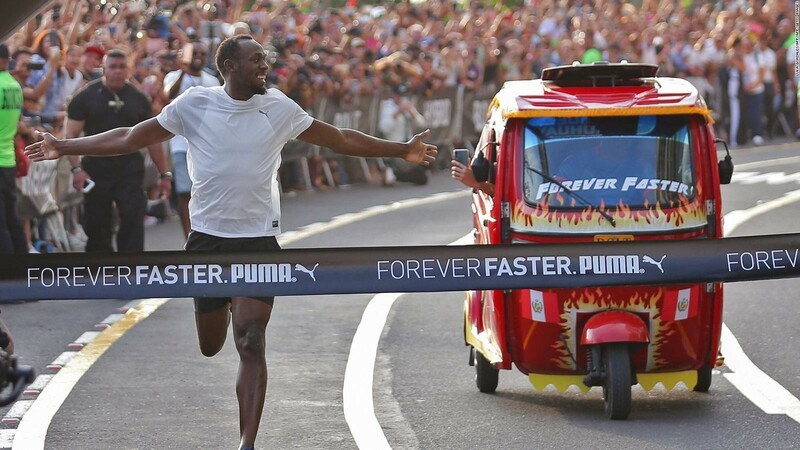 Needing a final kilometre of 2:48 to equal the ratified world record set by Julien Wanders in Monaco earlier this year, Cheserek achieved his target and crossed the line in 13:29, taking nine seconds off his PB in the process. Fellow Kenyan David Bett was a distant runner-up in 13:54. Long distance running is not even Jack’s main sport. He is a provincially-ranked tennis player who was eighth among U16 players in BC last year. He hopes to secure a scholarship at a US university and eventually to turn pro. America’s Liz Warmer (28) has set out on a wild journey to tackle and defeat the most challenging long-distance running routes in 30 different countries, across seven continents, in support of 20 charities, before she turns the big three-O. 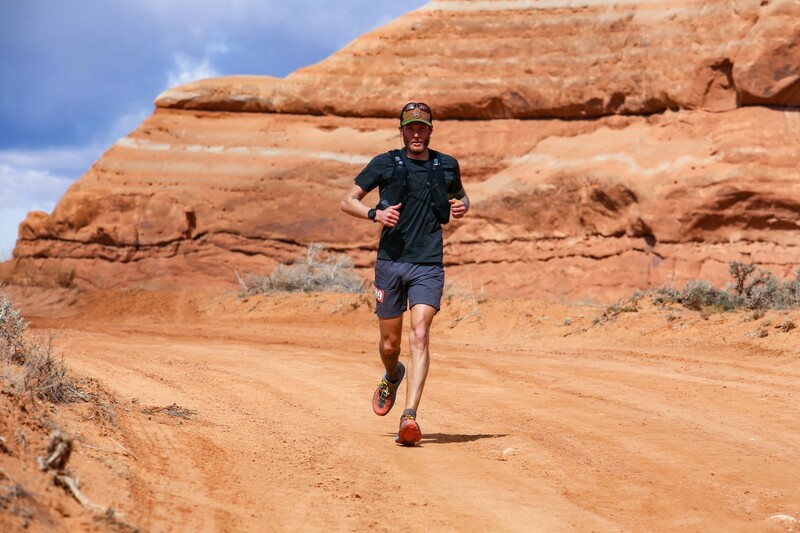 From running alongside an active volcano in Antigua, Guatemala, to battling the sweltering heat in the Sahara Desert Marathon, Warner is taking on the world and all of its challenging landscapes. “All I knew was that…whatever I was going to do next, had to check off the following three life objectives, it would have to positively impact the world outside my own personal bubble, inspire others to show them that, in their power as one individual, they too have the capacity to change the lives of others and involve my two loves in life: running marathons and travelling the world,” says Warner. 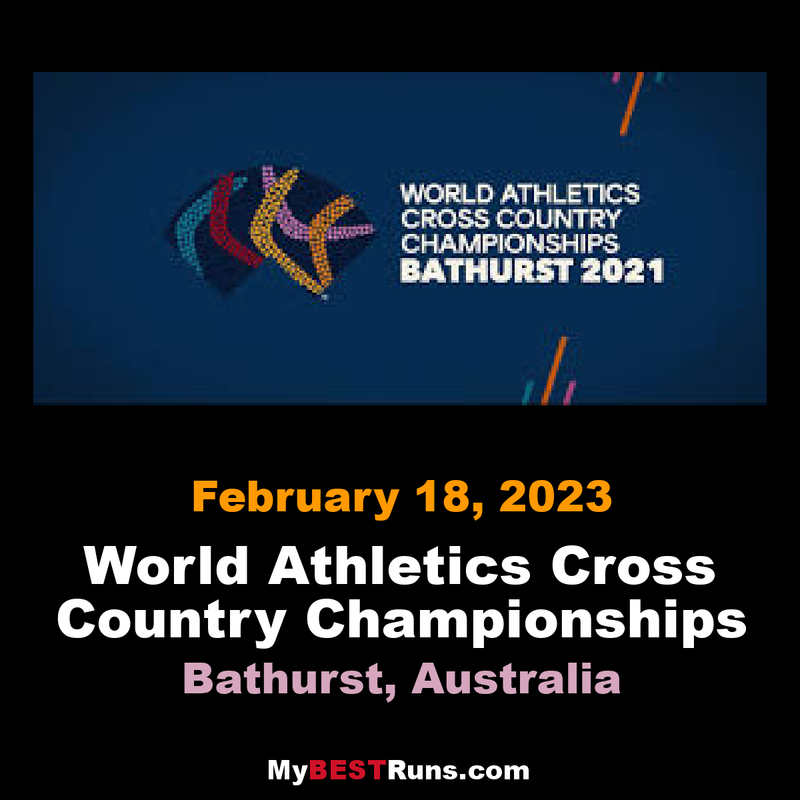 Warner has already conquered 13 marathons, including Tokyo Marathon Japan, Seoul International Marathon, Singapore OSIM Sundown Marathon, Bagan Temple Marathon Myanmar, and the Sahara Marathon. It was from her passion for cultures around the world and bringing about change to inspire others that birthed Run to Reach. 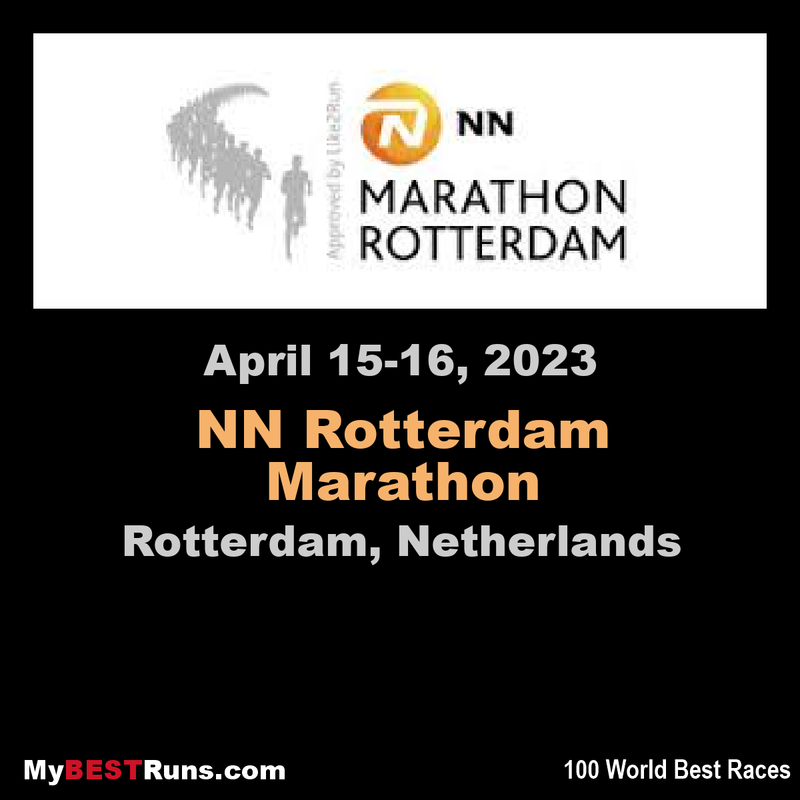 “So, how did I go about choosing all of the different marathons? Each marathon I’ve signed up for is more or less off-the-beaten path. 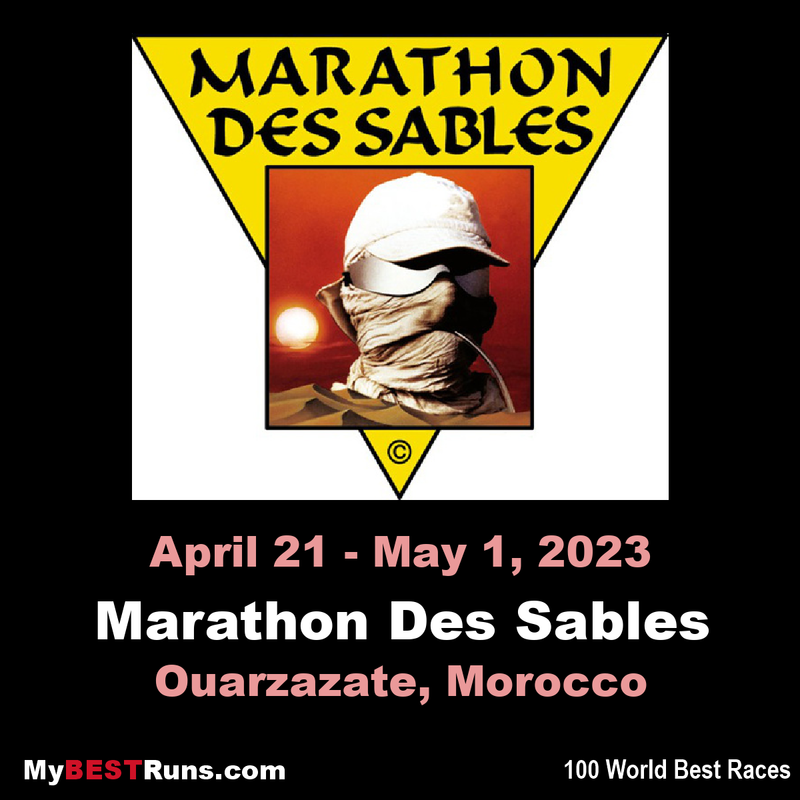 Think running in the Sahara Desert in Western Algeria or across ice sheets in Antarctica. 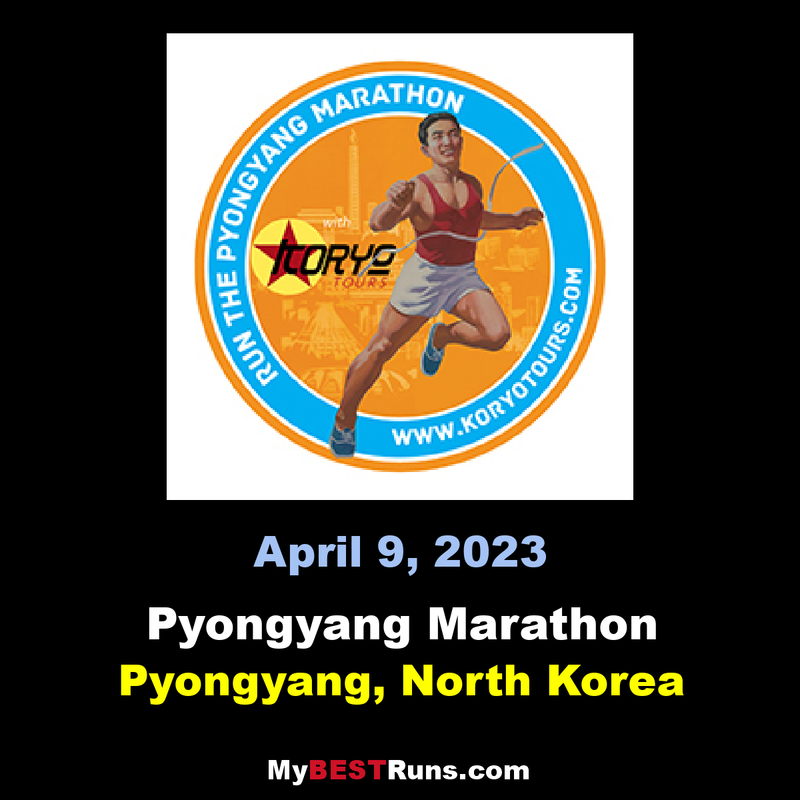 I also felt a moral duty to sign up for marathons in areas that were experiencing some sort of social, political, or economic issues, such as in Sierra Leone, Palestine, or Kurdistan Iraq. 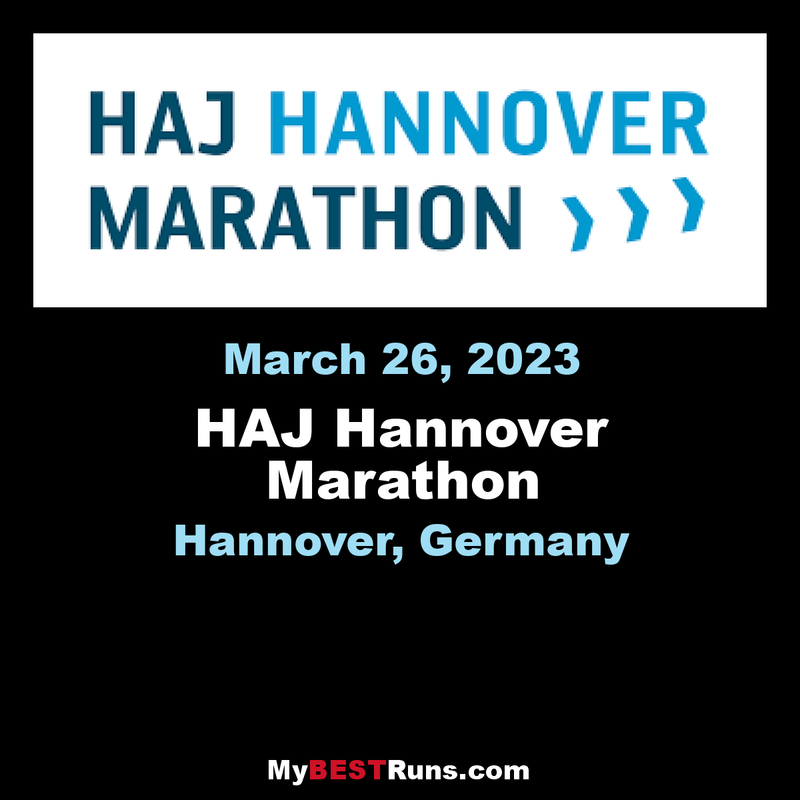 Each of these marathons demonstrate how running can be a powerful, unifying act of peace and movement. And by connecting with a number of local people in each place I hope tell also tell a different story of these countries. Paint them in a more beautiful way by showing the rest of the world a small piece of their vibrant cultures,” says Warner. 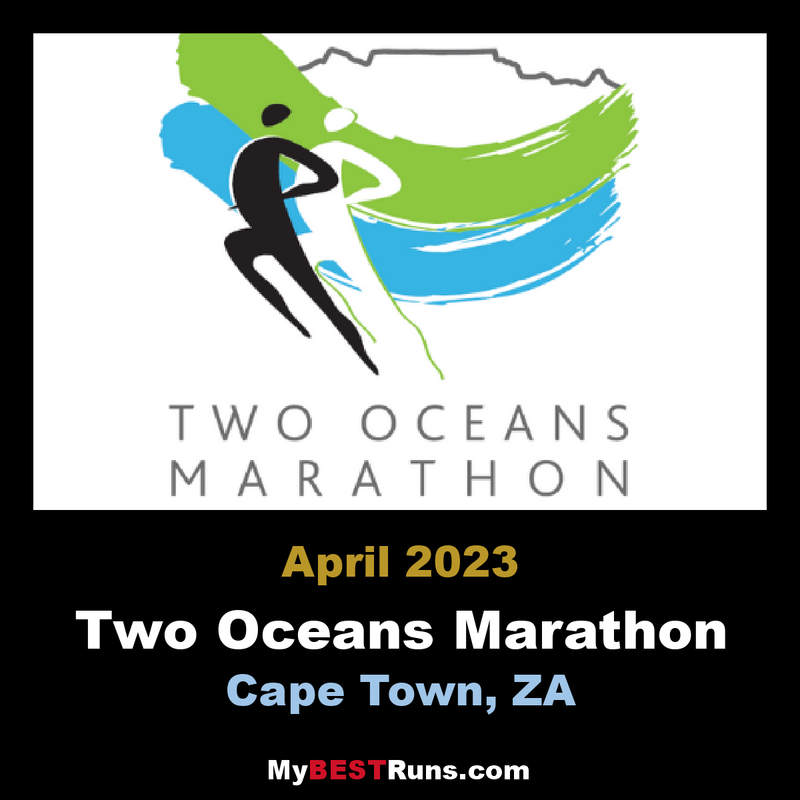 Next on the list is Cape Town’s very own Two Oceans Marathon, taking place this April 20. Featured Video: As a rancher growing up in the rugged northeast corner of the Navajo Nation with no electricity or running water, Eli Neztsosie learned through years of work what it meant to rely on discipline and endurance. Now he relies on these same skills, running long distances— striving every day, in his words, to be better than he was the day before. Retired U.S. Army Master Sgt. 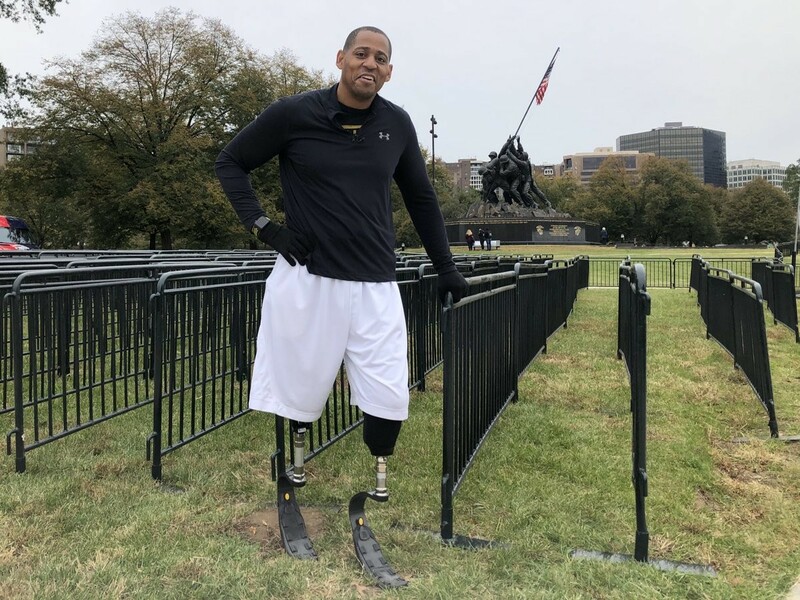 Cedric King sustained severe injuries while serving in Afghanistan in 2012: He lost part of his right arm and hand, and both of his legs were amputated. King spent the last three of his 20 years of service at Walter Reed National Medical Center in Bethesda, recovering from injuries. 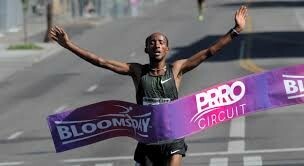 But this Sunday, he’s going to lead “Team Cedric” in the Cherry Blossom Ten Mile Race. And the objective is not just to cross the finish line, but to inspire others to take on challenges that may seem insurmountable. “Team Cedric” includes members of Pentagon Federal Credit Union and the Pentagon Federal Credit Union Foundation. King said some of his teammates have only ever run a mile or two at a time, and while some are not sure they can make it 10 miles, they’re all determined to try. King wants people facing difficult life situations to feel that same determination and persistence — people who may be receiving chemotherapy treatments, people who are struggling single mothers, or people who are facing business, community or financial hardships can all look at “Team Cedric” and see a group of people facing their fears. 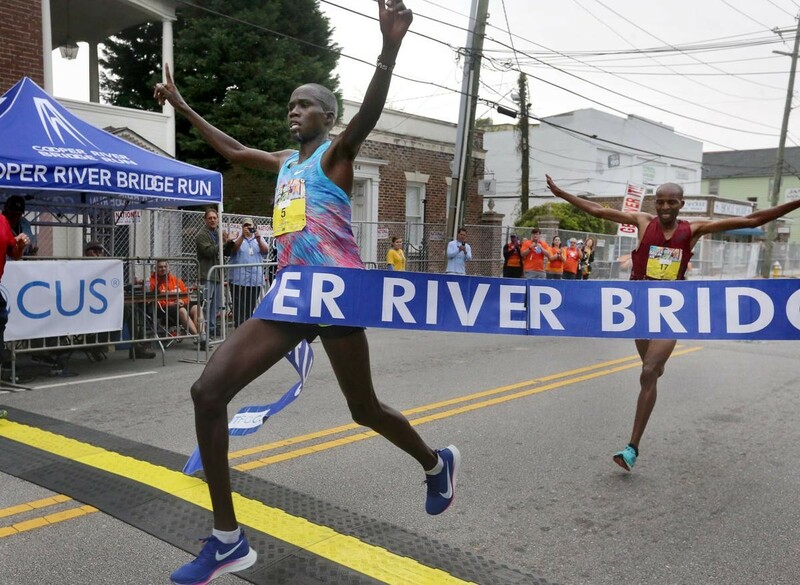 Kipruto, 34, has been in the top five finishes numerous times in some of the world’s most competitive races, but this year he won the Cooper River Bridge Run clocking 27:58 over the 10k course. 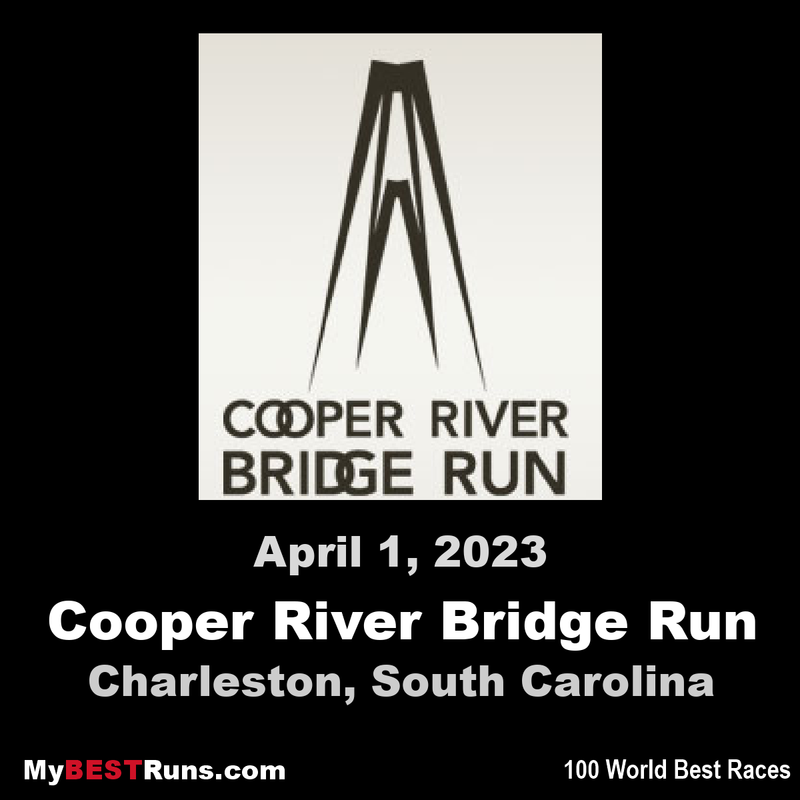 For the females, Monicah Nigige, 25, clocked 31:37 winning her third Cooper River Bridge Run in the past four years. Bridge Run Hall of Fame member Krige Schabort won the 14th Annual Open Male Division Wheelchair Race. Schabort, who was born and raised in Cape Town, South Africa, finished the race with an official time of 24:29. Neil Sadler and Kathy Lazarchick won the Dr. Marcus Newberry Award, presented to the top runners who live in the Tri-County area. 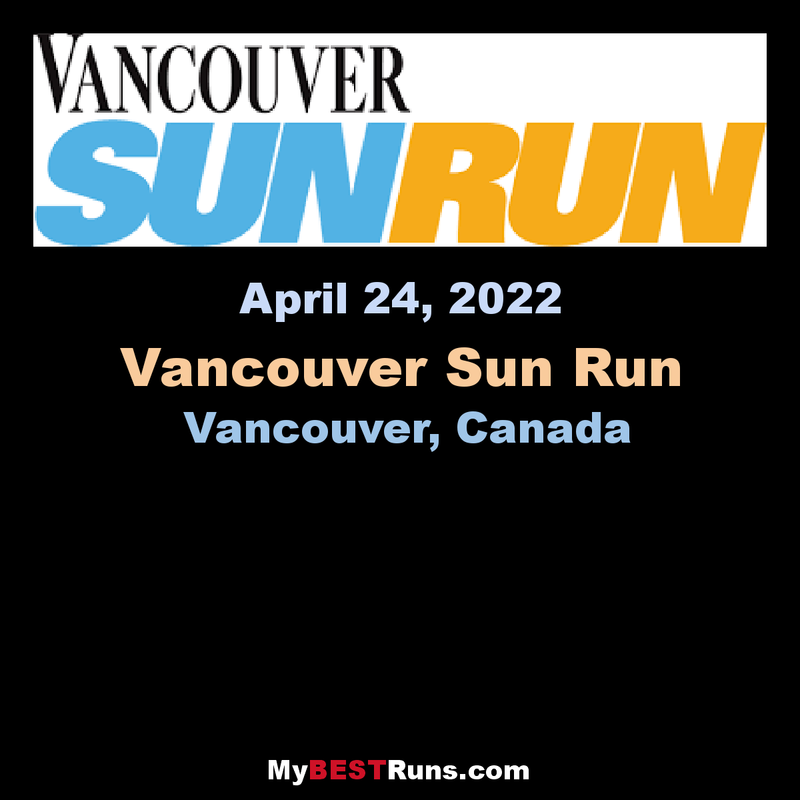 An estimated 35,000 runners and walkers will participate in this year’s event, one of the largest 10K races in the world. 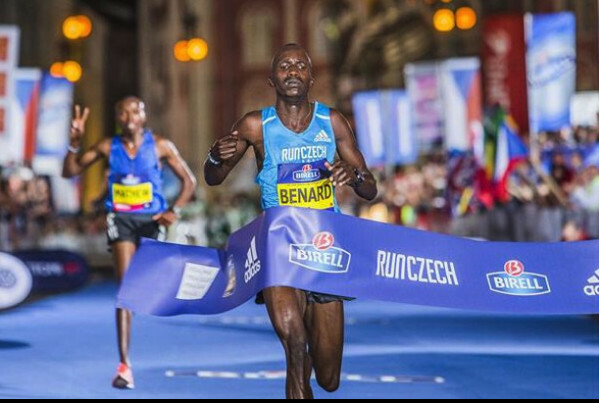 Kenyan runner Bernard Kimeli won Prague Half Marathon in men's race Saturday at 59:07, setting a new personal best, and Kenyan runner Caroline Kipkirui, who represented Kazakhstan, was best in women's competition in 1:05:44. 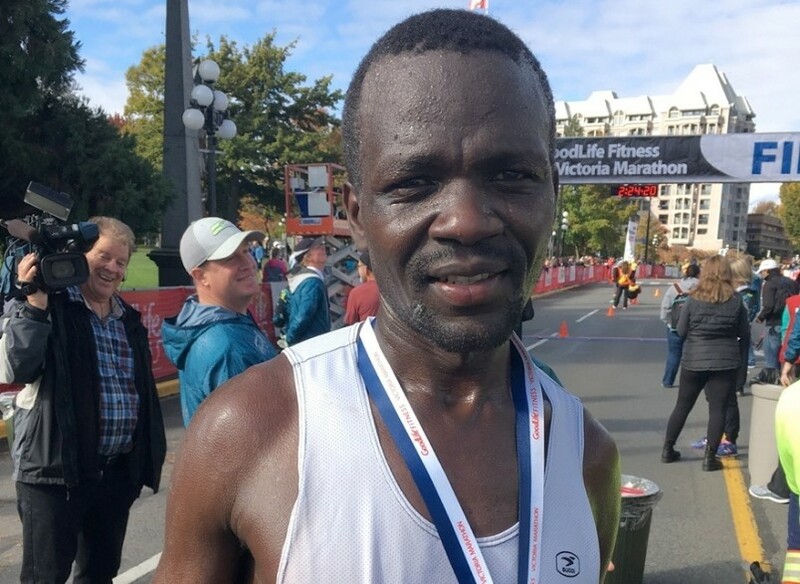 "I was well prepared, and I am also happy with the time," said Benard Kimeli after the race. 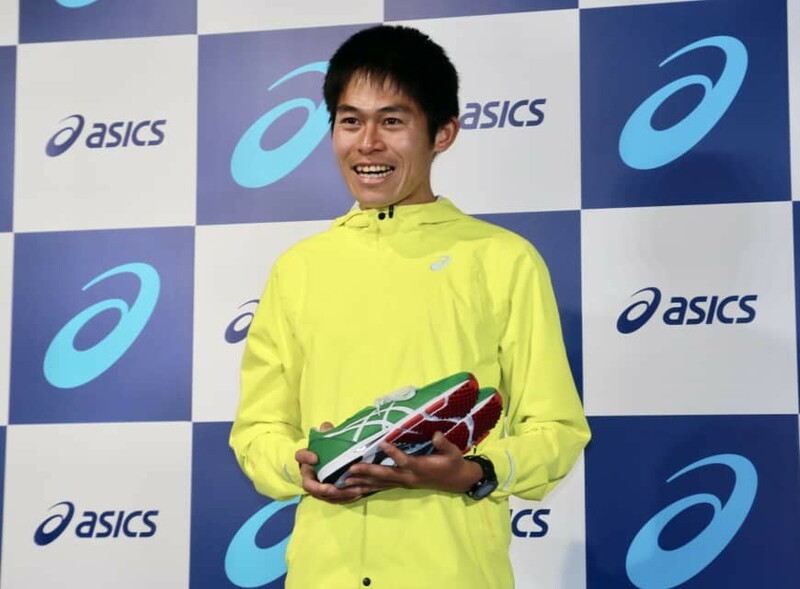 He has improved his best record by 40 seconds compared to last year's victory. 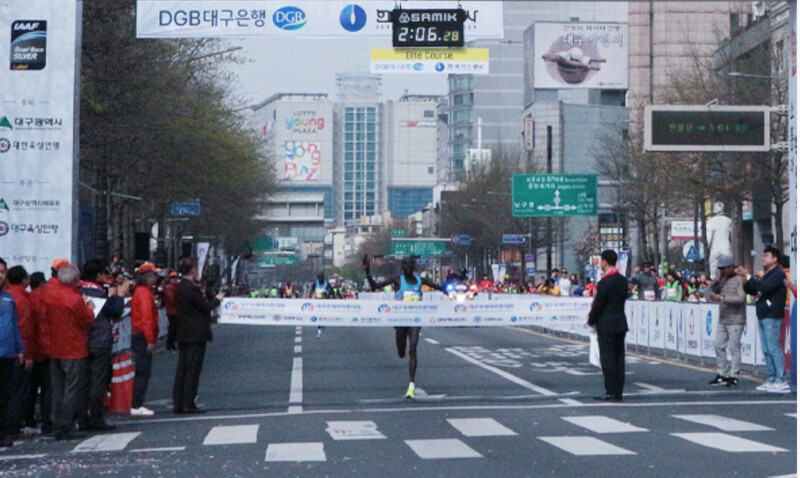 As usual, The race was dominated by African runners mostly born in Kenya. 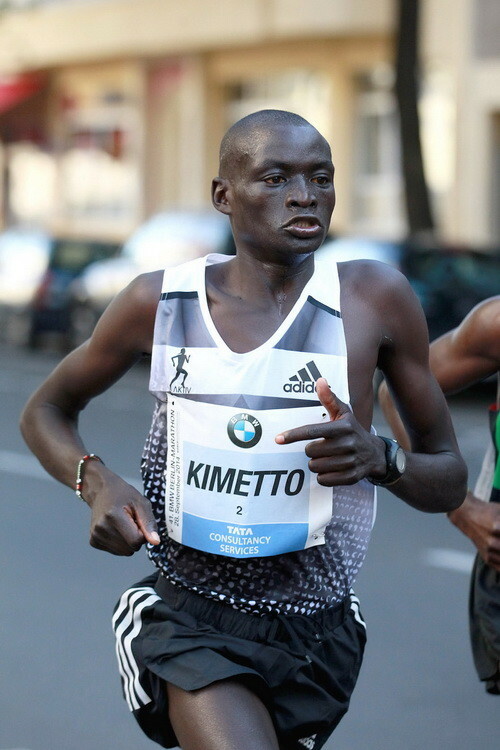 Kimeli was followed by Felix Kibitok and Stephen Kiprop, both Kenyan runners. Kipkirui won ahead of Lonah Salpeter, Kenyan runner representing Israel. 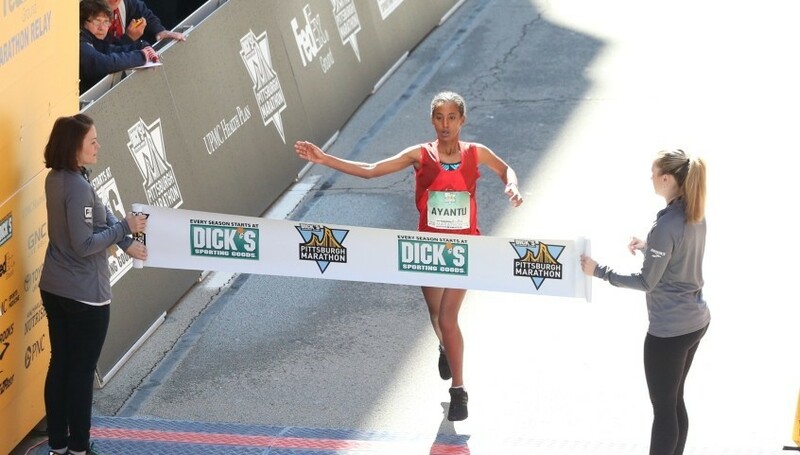 Lydia Njeri finished with a bronze at 1:07:52 as the first for Kenya. Kenyan runner Fancy Chemutai, the second best woman in half marathon in the world, did not finish the race. Chemutai injured her ankle in May 2018. 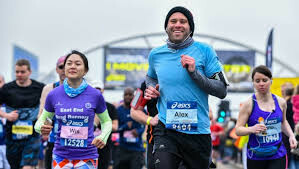 Staged in one of Europe's most scenic capitals, and featuring the best Czech and international running stars, the Sportisimo Prague Half Marathon is one of the most the popular, fastest and fun half marathons in the world. John Stifler has been writing about runners of all abilities for over four decades, from small races to major marathons. 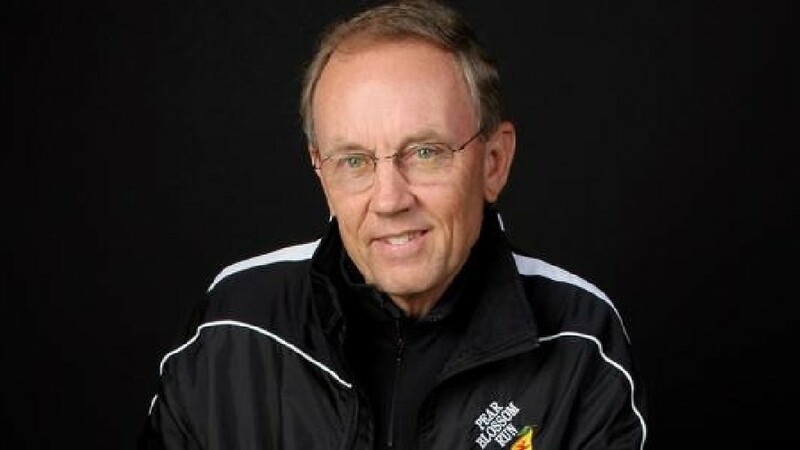 The Florence, Mass native was recognized for his career and was awarded the Road Runners Club of America Excellence in Running Journalism award for 2018. Each year, the RRCA honors individuals for their service to the organization and contributions to distance running. Stifler is the 45th recipient of the journalism award, which recognizes writing about grassroots, community-based running that is memorable, creative and inspiring. Stifler was recognized at the RRCA National Running Awards Banquet and Ceremony on March 30 in New Orleans. The club also inducted three members into its distance running hall of fame: Nancy Ditz Mosbacher, Oscar Moore and Joan Ullyot. “It’s very flattering,” Stifler said. “I am on that list along with Olympic athletes and stars of the sport. Stifler has been covering the sport since 1974, writing pieces for the Valley Advocate and Sugarloaf Mountain Athletic Club newsletter. 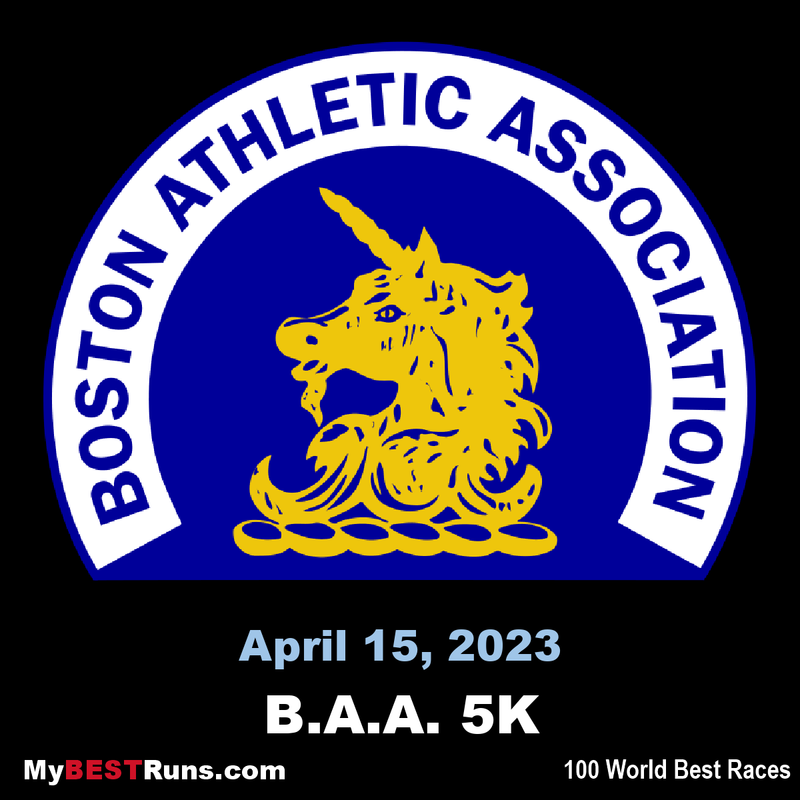 He has since contributed to New England Runner Magazine and was a longtime columnist for the Daily Hampshire Gazette. In 1988, Stifler started writing a running column for the Gazette on a bi-weekly basis. One of Stifler’s fondest memories covering the local scene was the opportunity to write a feature on running legend Nancy Conz. 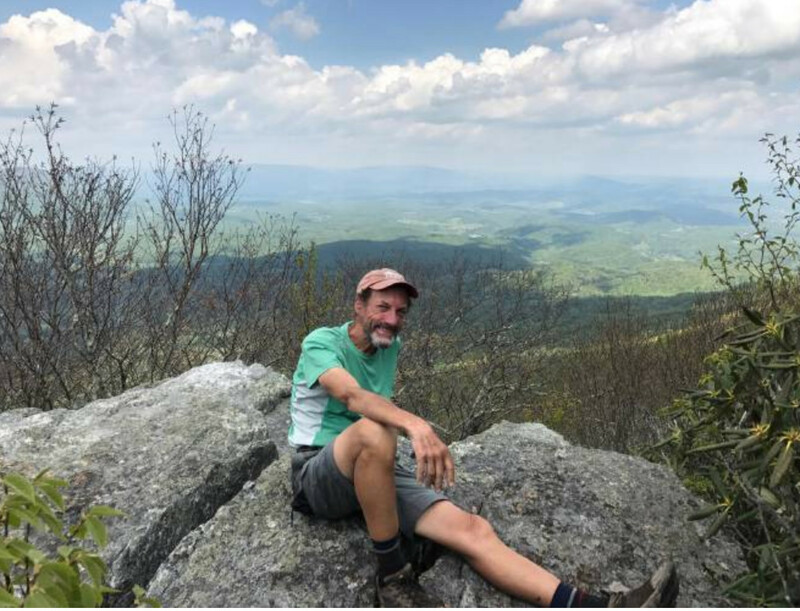 While the column came to an end, Stifler felt the impact his writing had on those throughout the community, even those who weren’t involved with running. 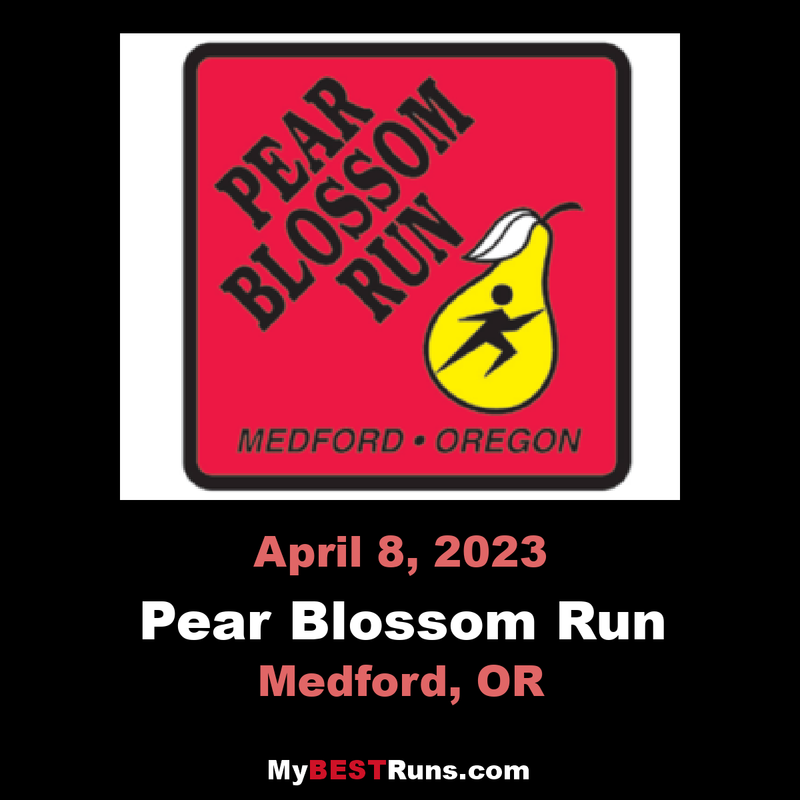 “What meant so much was that running is a community sport the same way that the kids’ hockey and basketball games are community sports,” Stifler said. 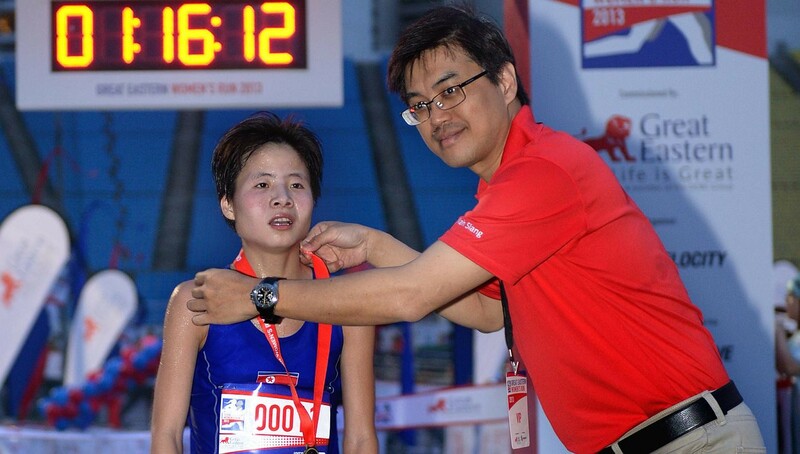 The freedom Stifler had with the running column gave him the chance to cover many topics and events. 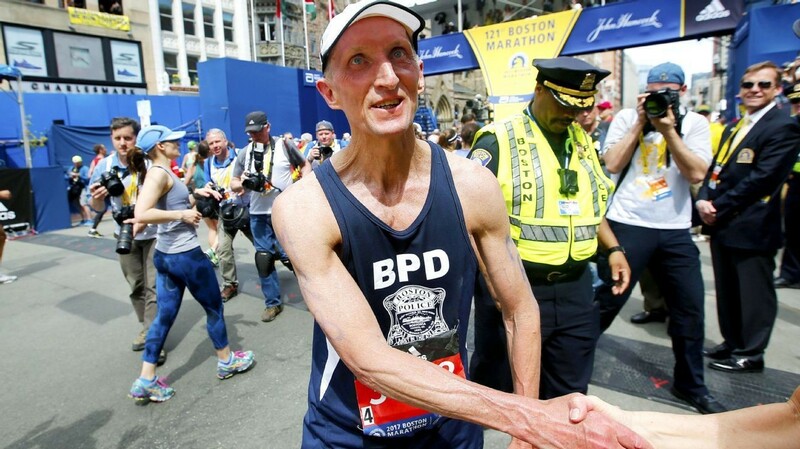 He covered Boston Marathons as a participant and through other local runners. 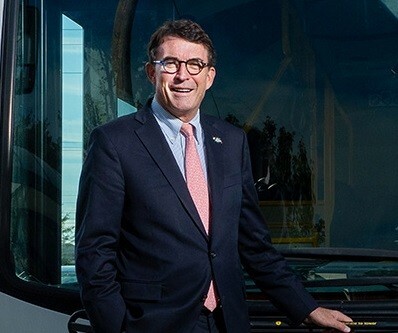 The experiences he had, and the recognition he received from this award, has given him an appreciation for the connection to the community that he values to this day. 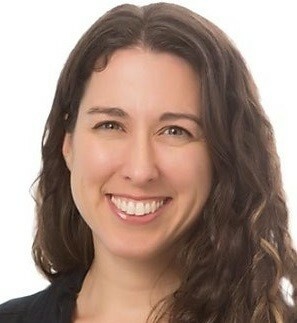 Sarah Ruff, MD, a physician at UNC Family Medicine at Southpoint, was selected by Hyland's, a maker of homeopathic medicines, from more than 500 applicants nationwide to run the Boston Marathon with a team of 18 health professionals. Part of that, she explains, is to model health and fitness to them. “As a doctor, I want to set a good example to my patients of what true wellness can be,” she says. “Running has been a way that I have been able to model fitness and wellness for my patients at work. Running has given me the confidence to accomplish anything in my life. she’s reflecting on the path that led her here, and her chance to join a community of likeminded professionals. 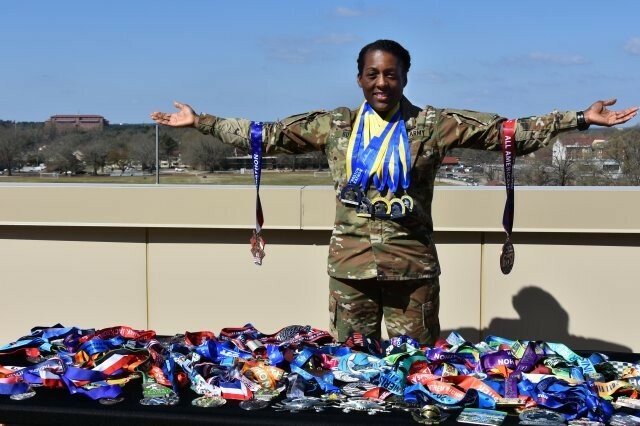 “With each marathon, I have grown in strength and knowledge,” she says. 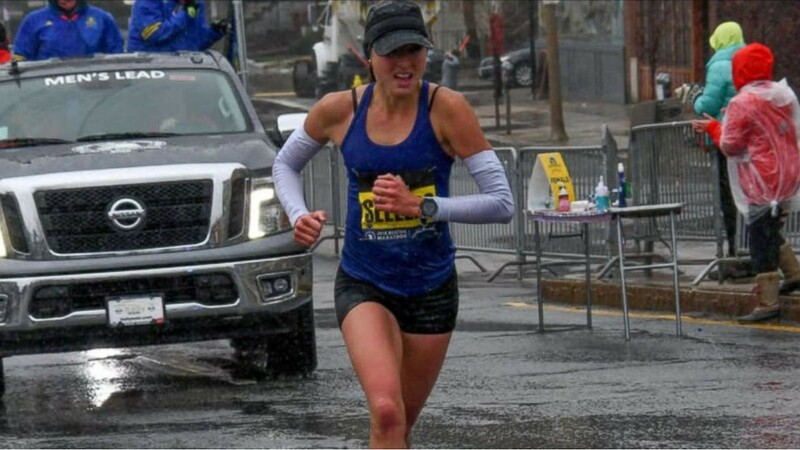 “Running the Boston Marathon has been one of my dreams and being able to run it as part of a team truly exceeds my expectations. 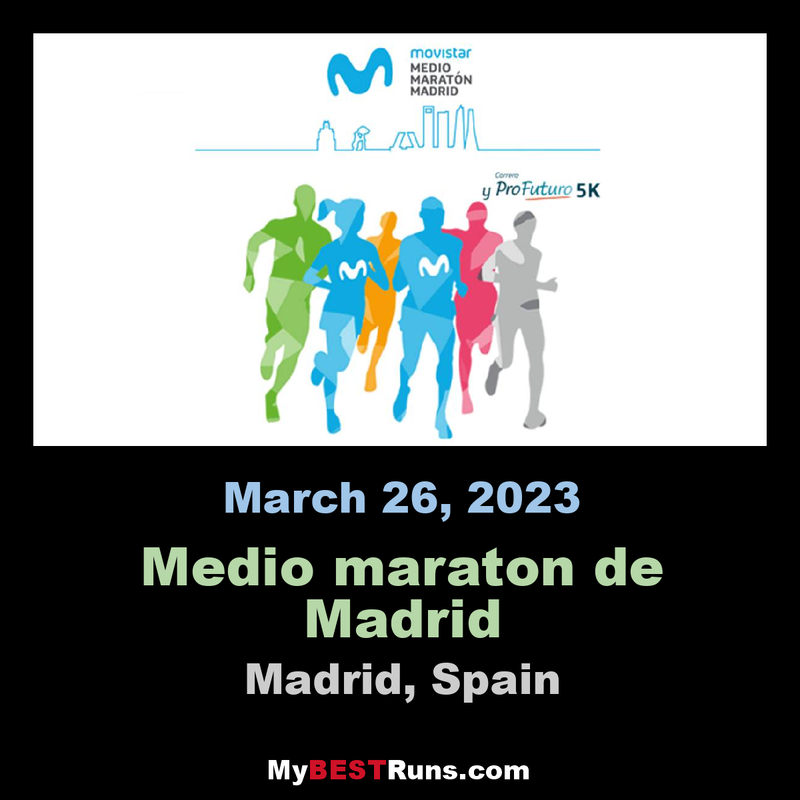 More than 20,000 runners will take part in the event. 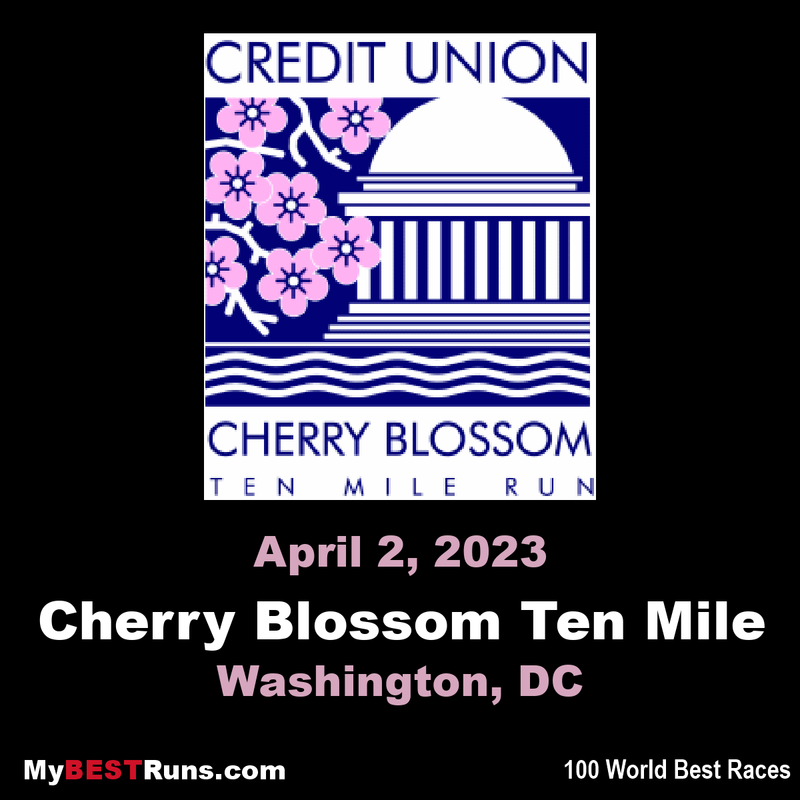 Organizers of the 47th Credit Union Cherry Blossom Run announced today that 2018 champions Jemal Yimer and Buze Diriba will return to our nation's capital to defend their titles on Sunday, April 7. Past champions Stanley Kebenei(2017) and Stephen Sambu (2014 & 2015) will join Yimer on the starting line at 7:30 a.m., while Diriba will be joined by 2017 women's champion Hiwot Gebrekidan and the other elite women, who will have their own separate start at 7:18 a.m. One other past champion, Joan Nesbit Mabe, who was the last American woman to win Cherry Blossom in 1996, will be competing as an age grouper in the 55-59 women's category, starting alongside some 16,000 other runners. Thanks to a collaborative effort between Credit Union Cherry Blossom Run organizers and the Road Runners Club of America (RRCA), $1,500, $1,000 and $500 will be awarded to the top-three men and women alumni of two innovative developmental programs, the RRCA Roads Scholars Grants, and RRCA's RunPro Camp. 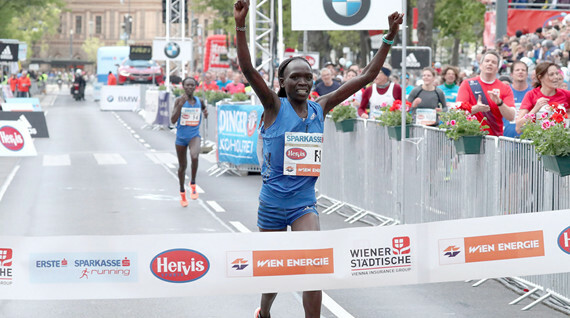 Cherop, the 2010 Hamburg marathon champion is making a comeback to Boston where she will face an elite field of 21 other women marathoners comprising her compatriot Edna Kiplagat, the 2017 Boston marathon winner. Of the 22 women in the elite field, 11 have under 2 hours, 23 minutes personal bests. 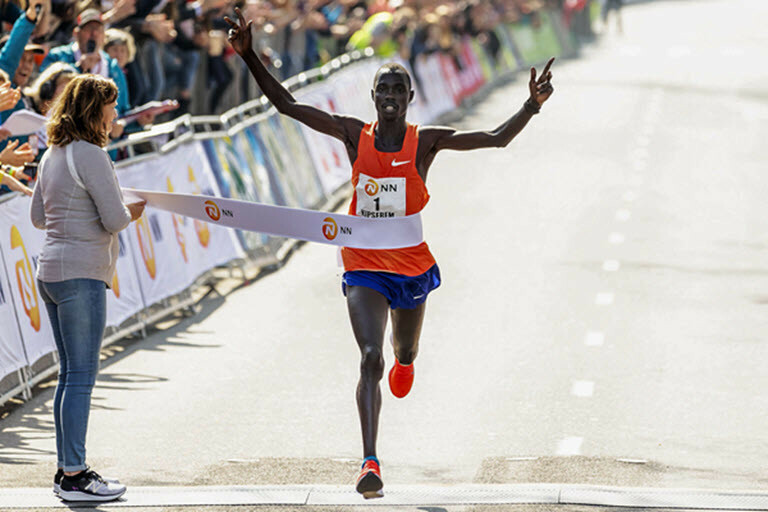 Cherop, who had finished third in 2011 will also have the reigning champion, Desiree Linden of the USA, to contend with during the April 15 race. “This time, I am going back to Boston to do my best. 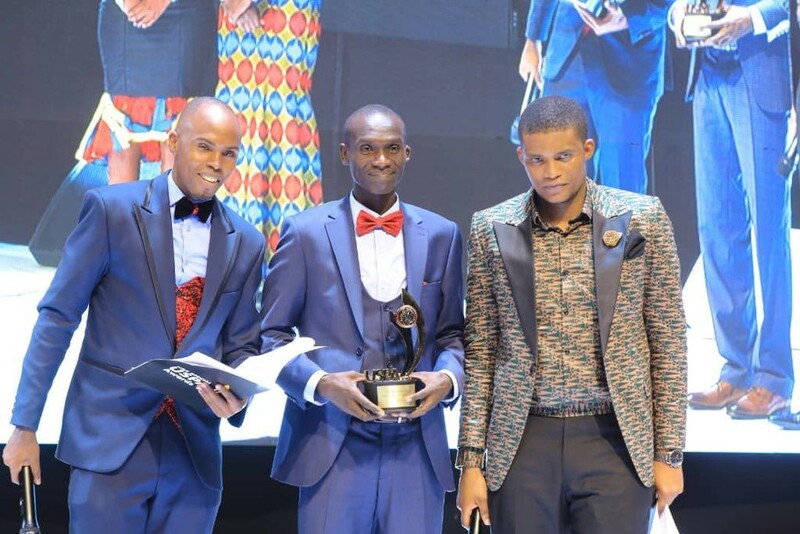 I can only say that I want to be among the podium finishers,” Cherop told Standard Sport. 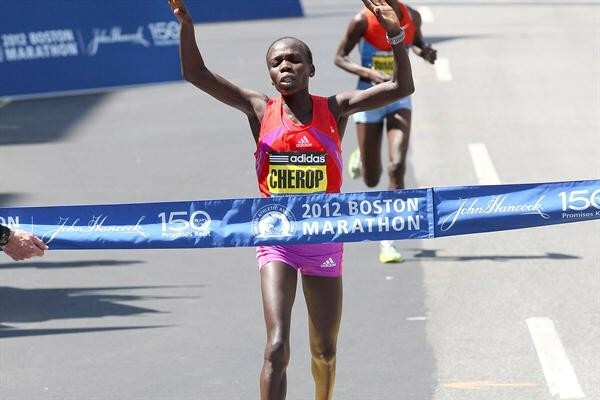 Cherop, who has relocated her training base from Eldoret to Kararia — a mountainous area in the Marakwet highlands said she is in top shape and her preparations for the Boston race are going on well. “I have shifted my training base because Boston is a hilly course and I have to train in similar conditions. The altitude in Kararia is also high and is good for my preparations. 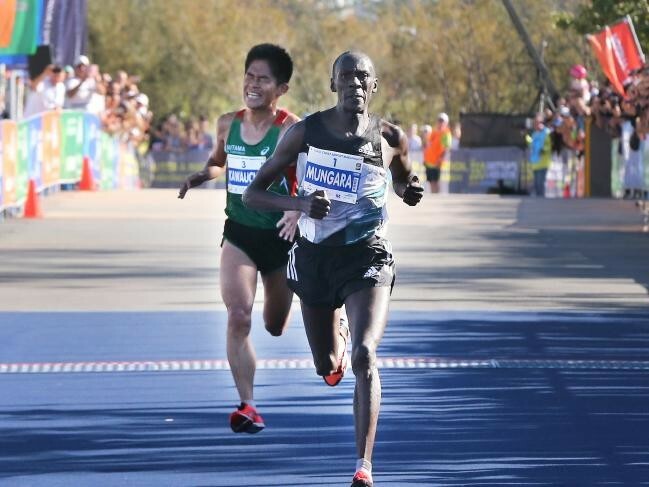 I have been here for three weeks now,” the Eldoret City Marathon reigning champion said from the new training base. 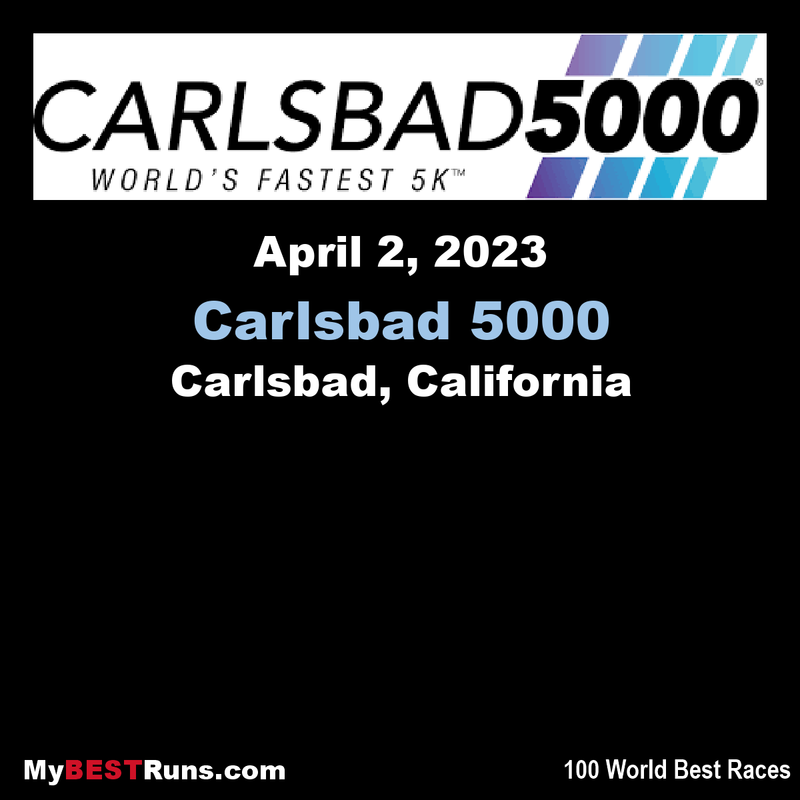 Natalie Rodriguez makes her professional debut at Sunday’s 34th Carlsbad 5000 and just maybe someone will shout “Chi-co, Chi-co” to boost her performance. Hear them roar and Rodriguez got an earful at last year’s California Collegiate Athletic Association 5K final in Turlock, California. After winning the 1,500-meter event, Rodriguez attempted her second triumph just hours later in the 5,000. But she trailed the leader, a competitor from nearby Chico State, until she heard those magic words. “In the last 300 meters she had to make up 50 meters,” Scott said. “Just then the “Chi-co, Chi-co” chant started down the home stretch and it really ticked Natalie off. With every stride Natalie was cutting down the distance she was behind and she just barely nips her at the finish line. That Rodriguez became the first NCAA Division II All-American from CSUSM was a kick in the britches for the entire school. Count Rodriguez as among the most surprised that it was her. 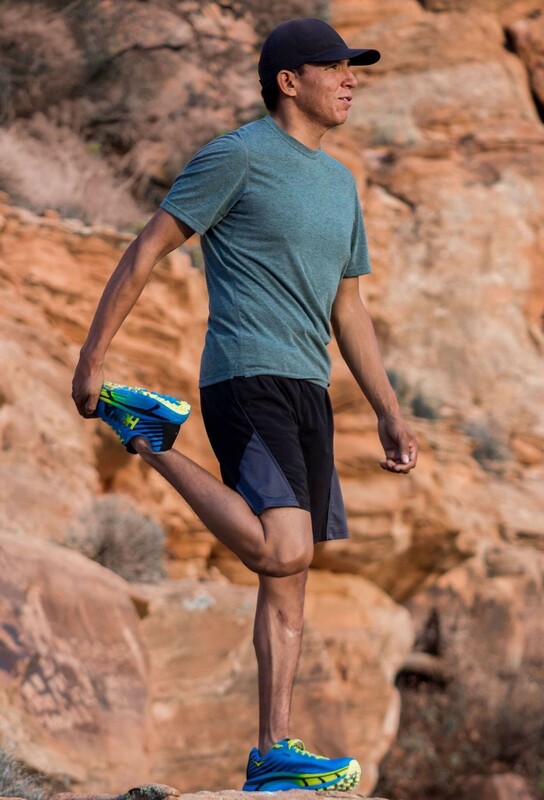 Rodriguez, 22, started running in high school. 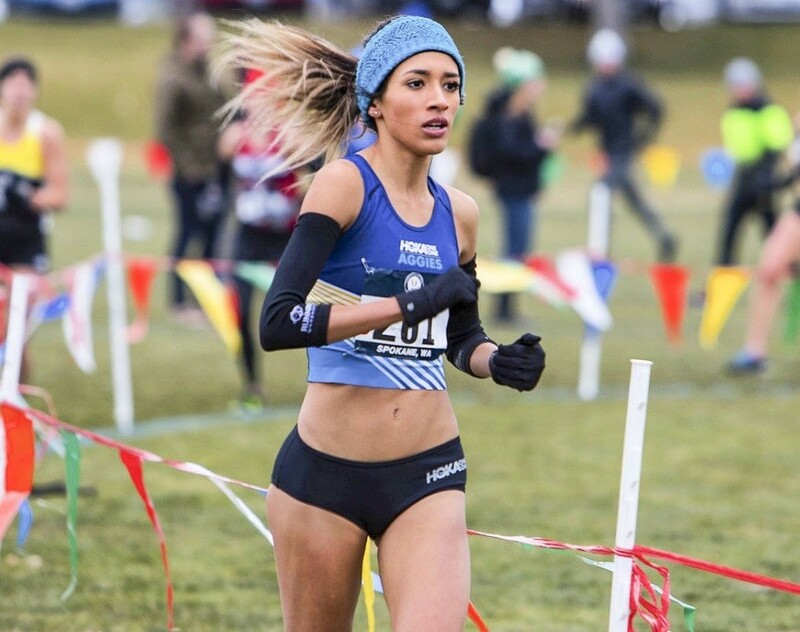 After verbal agreeing to attend San Diego State University, her coach suggested CSUSM and its program directed by Scott, one of America's greatest runners ever. If you’re allergic, you can never assume you’re safe. 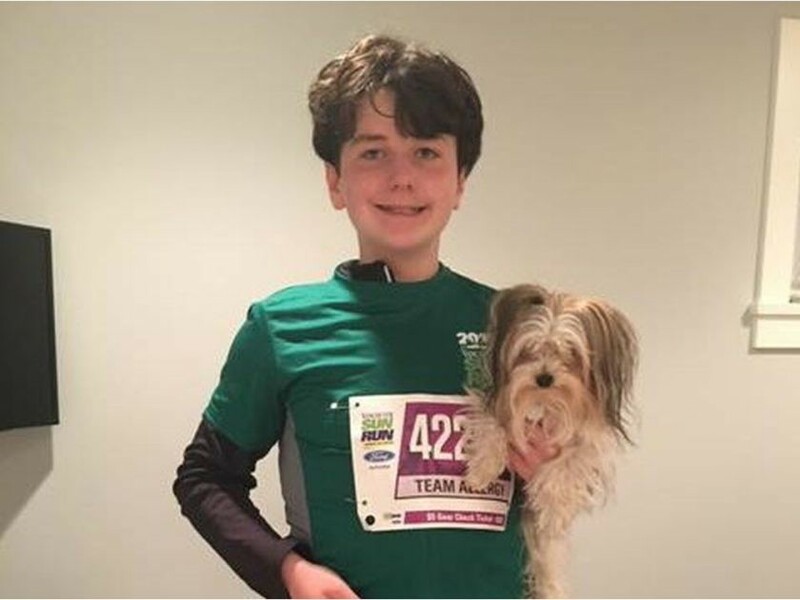 Twelve-year-old Eric Wittig is doing his second Vancouver Sun Run on April 14 to raise awareness and money for allergies research. He has severe allergies to peanuts, cashews, pistachios and a legume called lupin, which shares a protein with peanuts. “I found out by accident. Lupin was mixed into my pancakes and it made me very sick,” Eric said. He is part of Team Allergy, a youth team that caught the eye of John Smythe, a 29-year-old Vancouver native who plays midfield for the men’s national field-hockey team. Smythe and his teammates will join Team Allergy at the start (and finish) line on race day. That includes coaching. And that’s how Smythe met Eric’s parents at York House, where their daughter attends school. When they told him about Team Allergy, Smythe — who has Crohn’s Disease — immediately thought of his teammate Taylor Curran, a veteran midfielder from North Vancouver who has a peanut allergy. 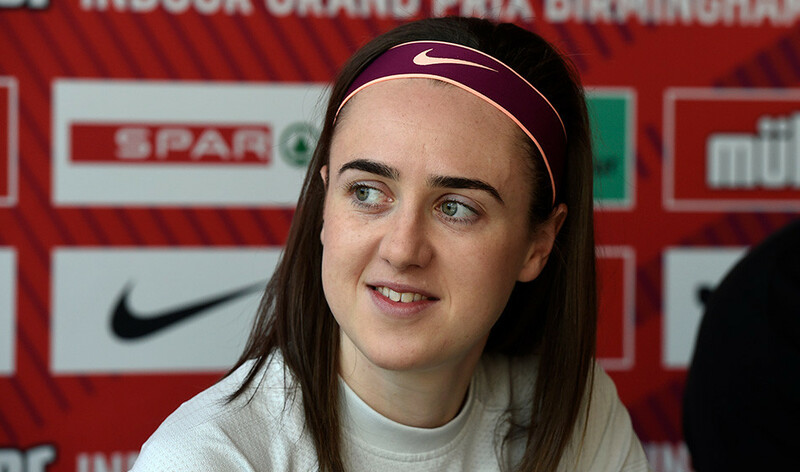 “We often joke around on tour that we can’t eat peanut butter, but I’m also aware of the planning and fear of uncertainty that comes with travelling to different countries. This can be harrowing,” Smythe said. 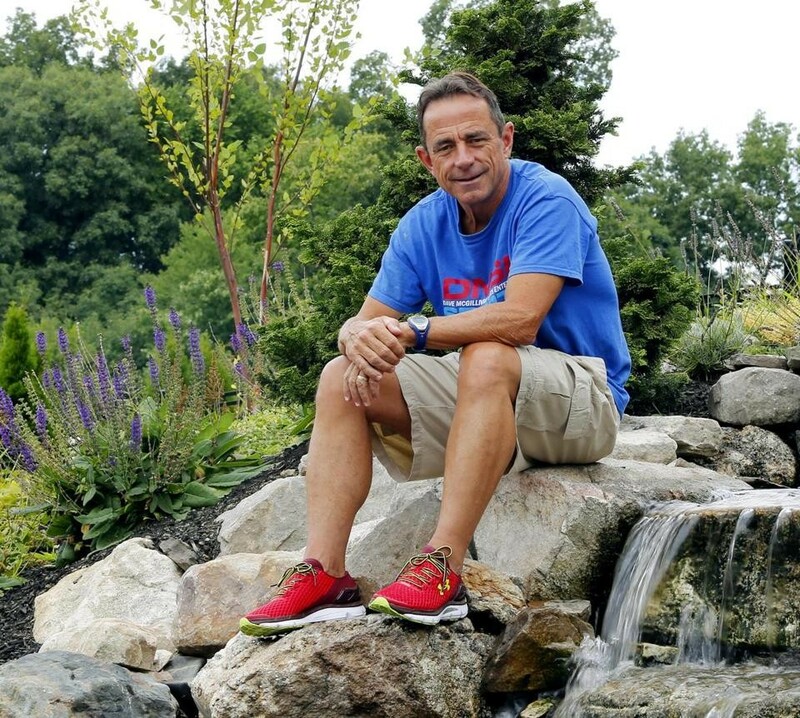 Renowned race director and endurance athlete Dave McGillivray will attempt to run the 123rd B.A.A. 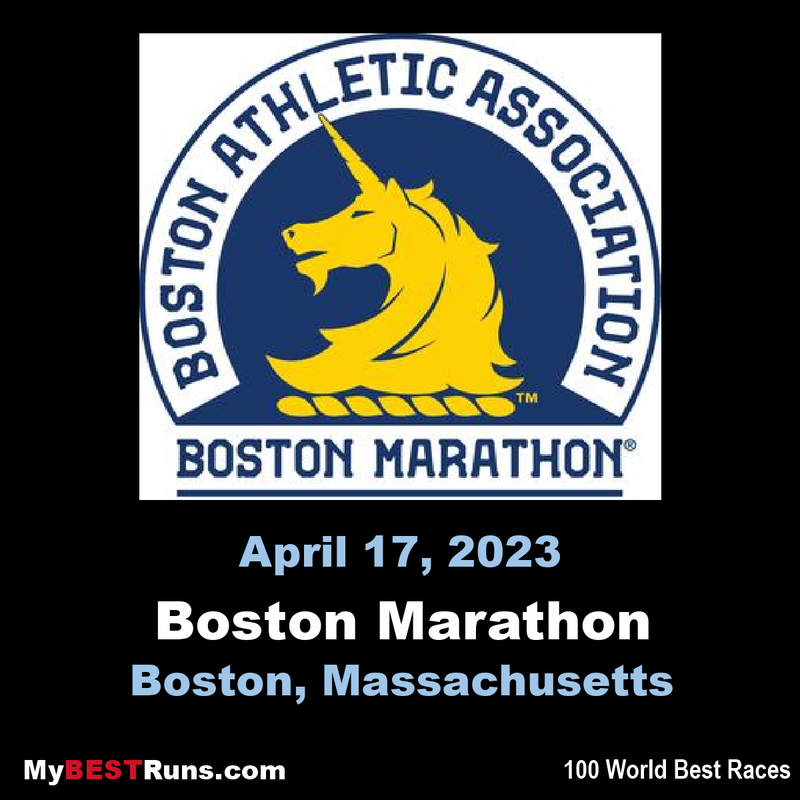 Boston Marathon just six months after undergoing open-heart, triple-bypass surgery on October 12, 2018. 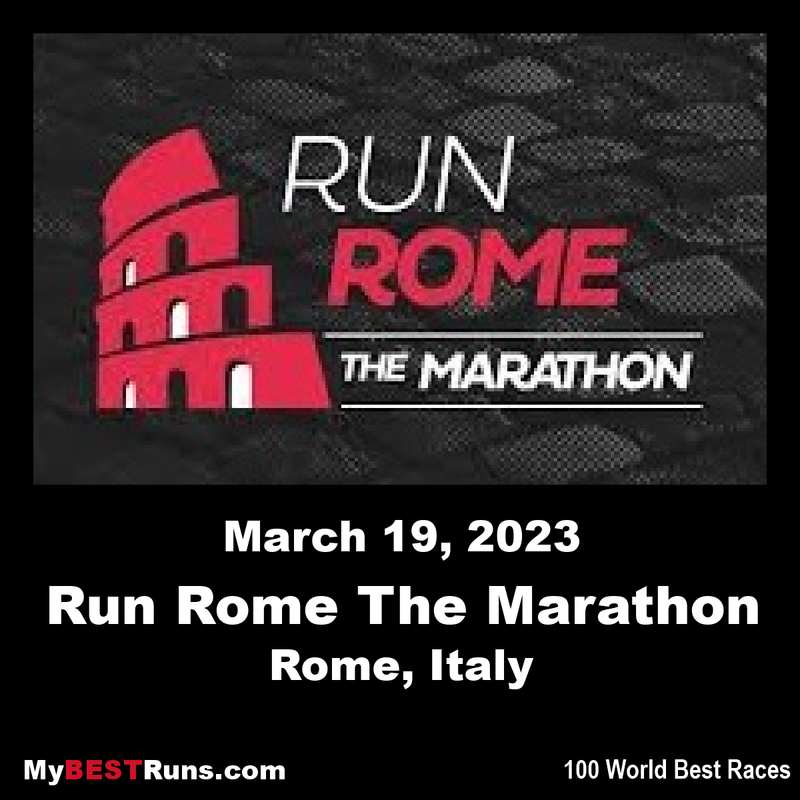 This will be McGillivray’s 47th consecutive running of the world-famous marathon, of which he is race director. 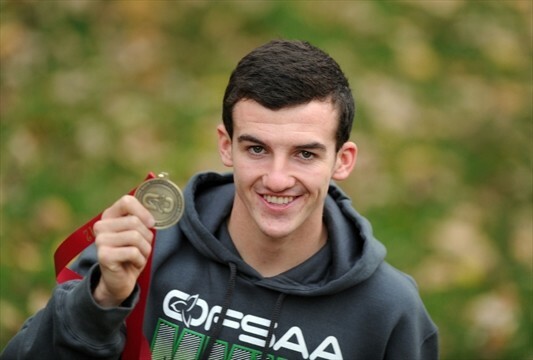 McGillivray will make his attempt after completing his official race day duties. 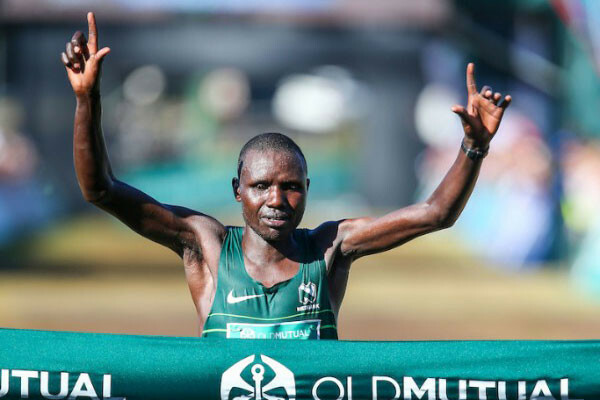 A quality field of top local and international elite athletes will take part in this year's Old Mutual Two Oceans Marathon in Cape Town on Saturday April 20. 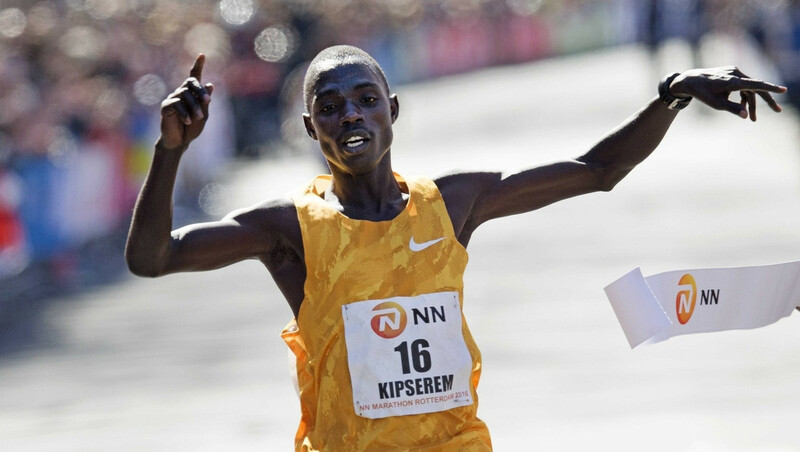 Defending champions Kenyan Justin Kemboi Chesire (3:09:22) and local favourite Gerda Steyn (3:39:32), both from Nedbank Running Club, will be hoping to successfully defend their titles. Steyn is training with an end goal of Comrades in mind, and with the Easter weekend being that much later this year, it might be a tough task to pull off both wins. 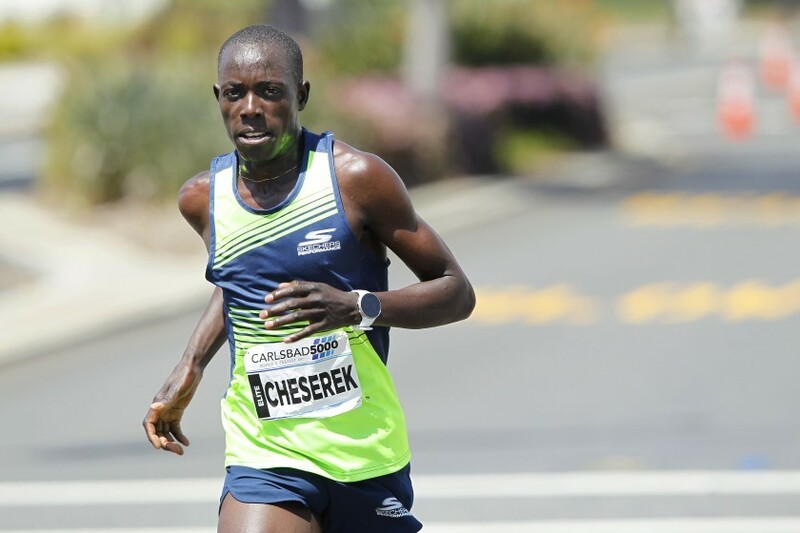 Chesire's training has been going according to plan but he can expect some tough competition from a quality field of ultra runners who have all been training to win. His fellow countryman Abraham Kiprotich, who boasts the fastest marathon of the entire field (2:10 at the Istanbul Marathon late last year), will be running his first ultra marathon and it will be an interesting test to see how he fares over the last 14km with the Constantia Nek climb part of this last section. Another popular Maxed Elite runner, Zimbabwean Prodigal Khumalo, is back running after a foot injury had him sidelined since December last year. Khumalo has chosen to run the 24km trail event. Joining this strong field of male runners is local trail legend Ryan Sandes. He has switched from running the trail event for this year, to running his first 56km ultra event. Sandes is hoping to add the Old Mutual Two Oceans Ultra Marathon to his illustrious list of achievements. 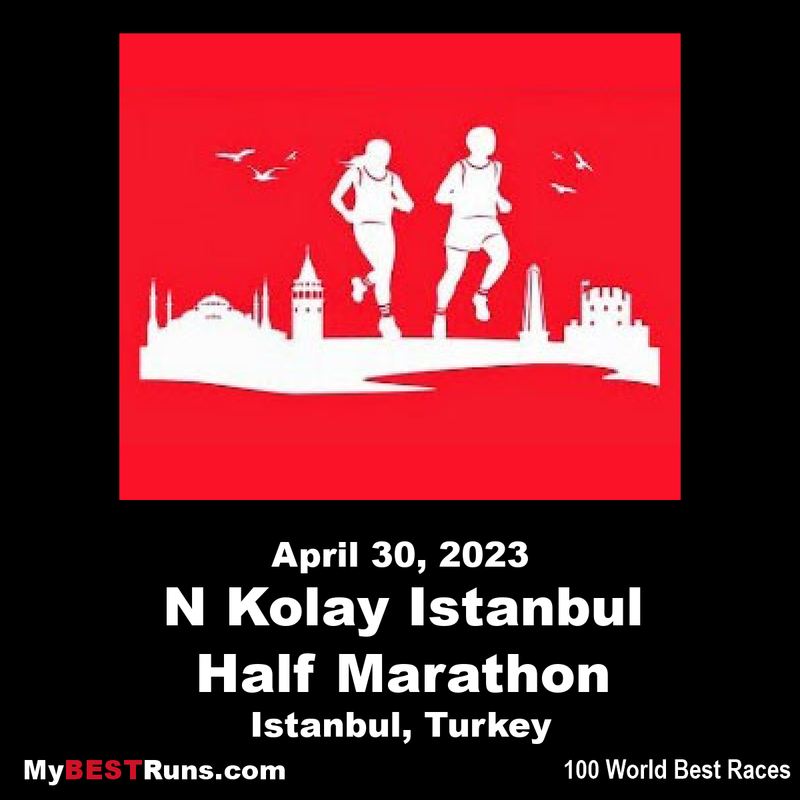 The Vodafone Istanbul Half Marathon, considered one of the best 10 half marathons in the world, will be held for the 14th time on April 7. 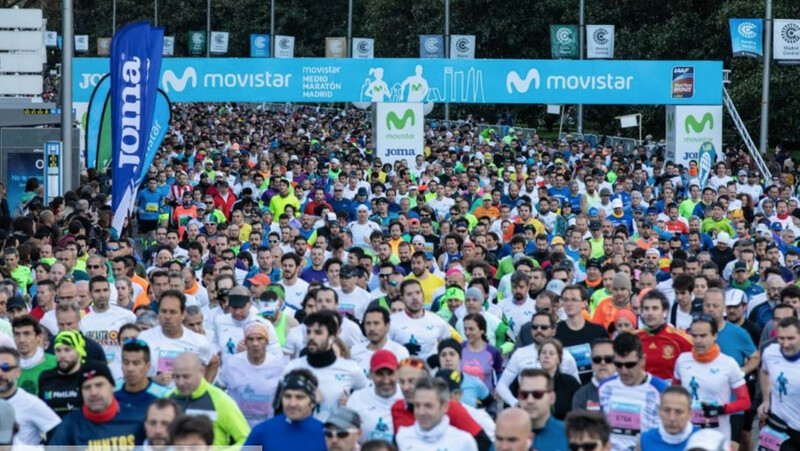 More than 10,000 athletes from almost 100 countries are expected to compete in the race, which is organized by the telecoms operator and the Istanbul municipality. 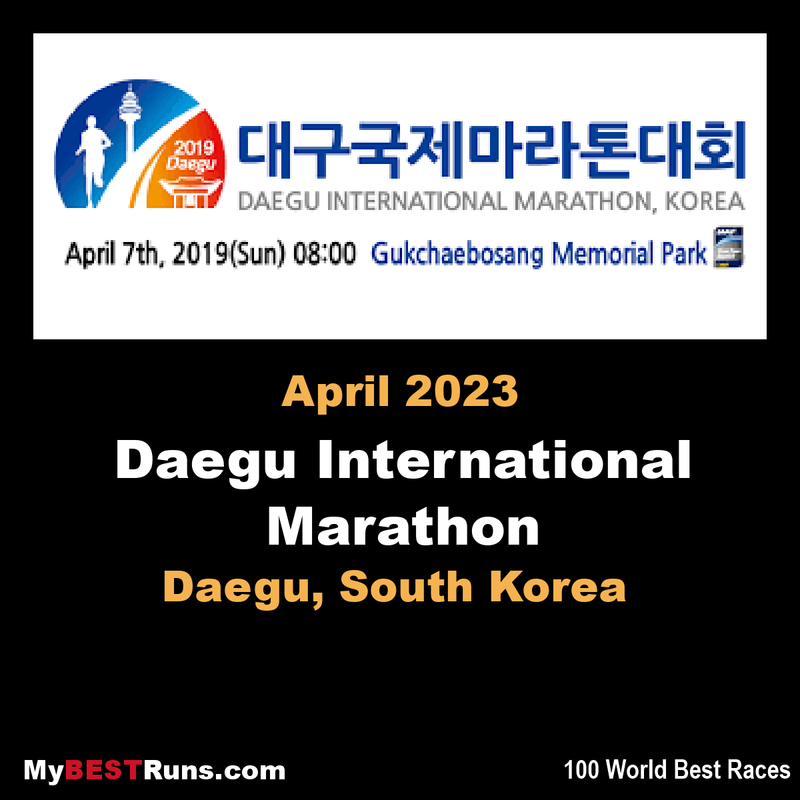 Against the backdrop of the city's landmarks on the historic peninsula, runners will compete in the categories of a 21-kilometer Half Marathon, 10K and Business Marathon. 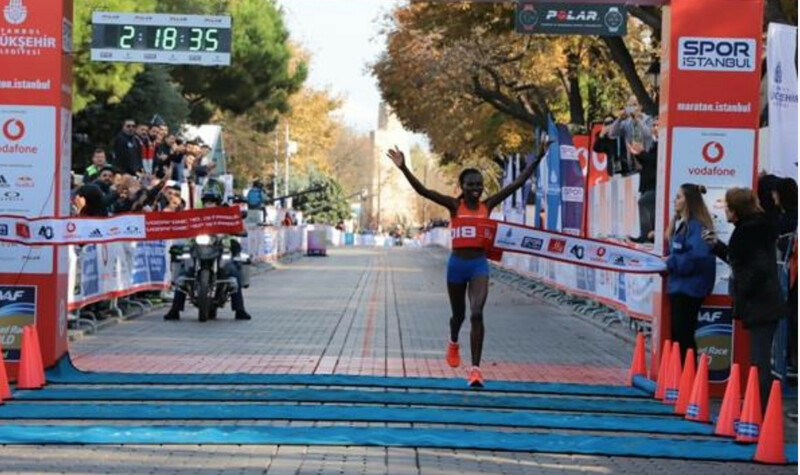 Kenyan athlete Ruth Chepngetich, who won the title of Turkey's fastest female athlete in last year's Istanbul Marathon, will make a comeback in the half marathon. 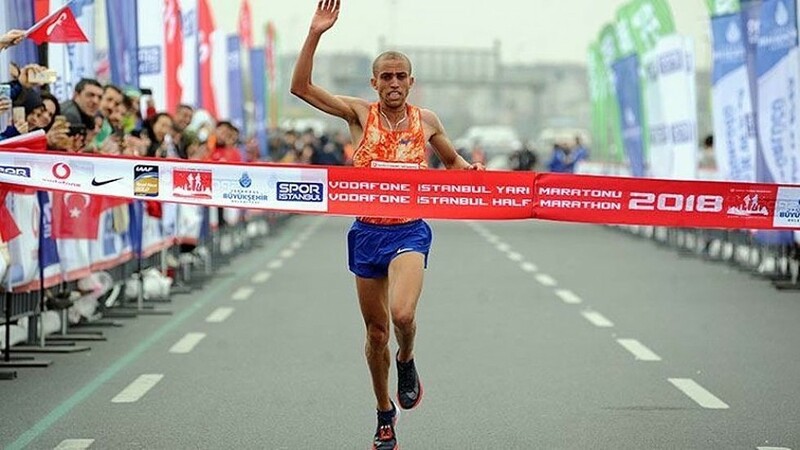 In the men's category, Ethiopian athlete Amdework Walelegn, who broke a record with 59.50 minutes in the 2018 half marathon, also returns for the race's new edition. 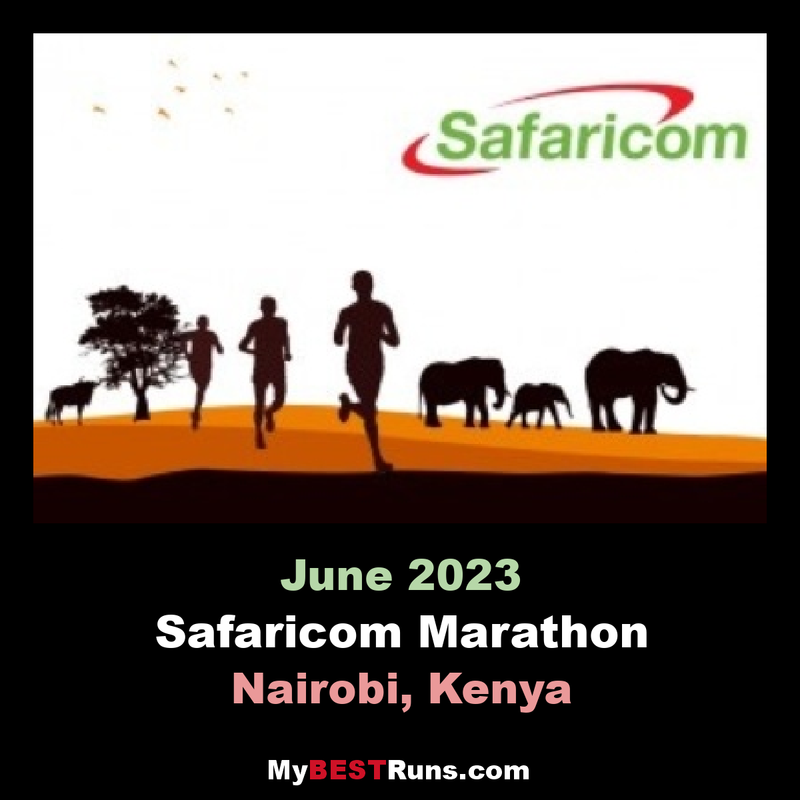 An 88-year old octogenarian is among more than 1,400 who are set to take part in the 20th edition of the Safaricom Lewa marathon set for June 29, this year. 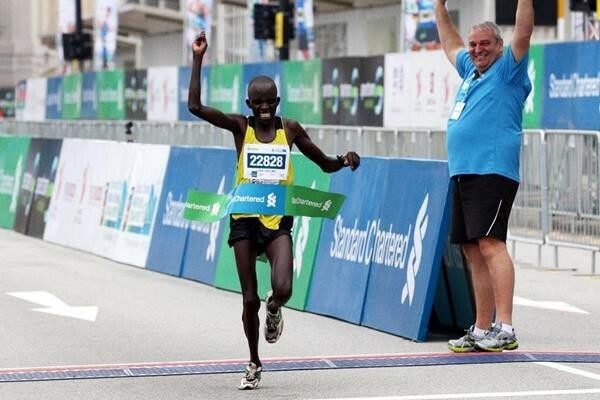 John Ruengo, who is also pursuing the title as the oldest marathoner alive will be defending his title in the half marathon category for people above 52 years. 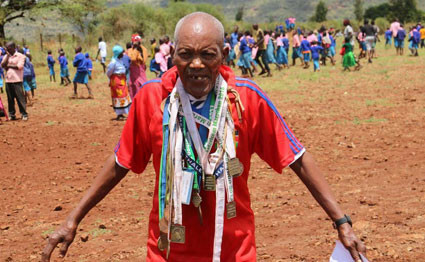 John Ruengo, who has also set his sights on becoming the oldest marathoner alive. Speaking to Nation Sports during a pre-race competition meant to identify amateur athletes to represent the community living around Lewa Conservancy in the marathon, Ruengo said he has stepped up training for the race and was confident of performing well. The retired community development officer from Mutunyi Village in Meru County has participated and completed in the 21km race in all previous 19 editions of Lewa Marathon. The veteran athlete said he religiously jogs for five kilometres every morning and evening for four days a week to keep fit. He also observes a strict diet composed mainly of green leafy vegetables and camel bone soup.